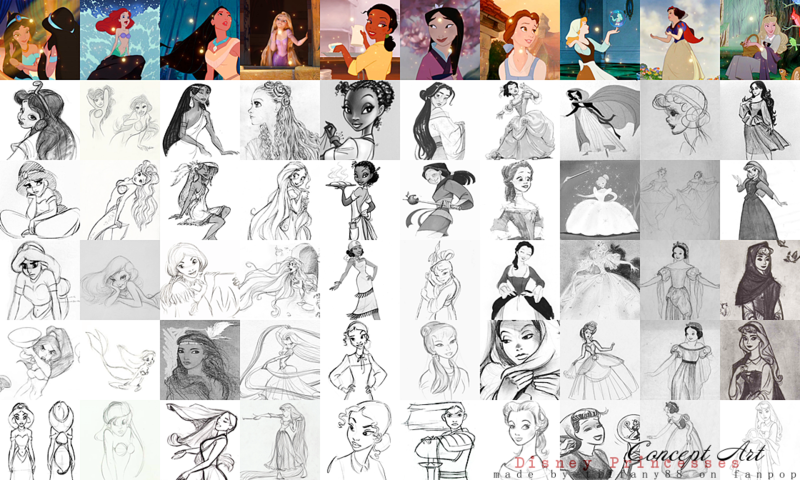 disney Princesses - Concept Art. . HD Wallpaper and background images in the putri disney club tagged: disney princess fairy tale rapunzel belle jasmine ariel pocahontas. Very nice. I really like how Mulan looked in the 3rd and 4th pictures down, with the spear and her just smiling. So pretty. Much prettier than the top picture. I'm like the only one that doesn't think she's pretty in that shot where she's smiling at her father. 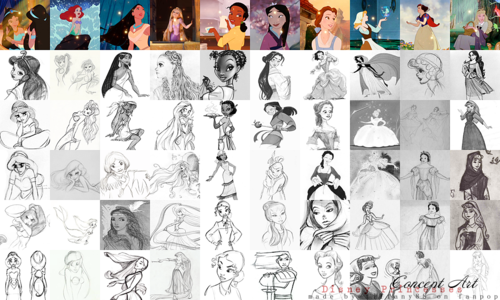 I wish I could draw hair the way the artists drew Rapunzel's. Look at that detail. So pretty. For some reason, I just love the way that the first concept picture of Cinderella is blowing the first concept of Belle!